Purchased as a holiday home, this house boasted wonderful sea views to the South and Mountain views (Comeragh Mts) to the West. The original house had a very typical 1980’s traditional finish and needing refurbishment. We designed a prominent entrance, replacing an existing very narrow spiral stairs with an oak staircase. At the rear of the house we designed a new extension allowing 180c open view of the Comeragh Mountains. As the main function of this property was a holiday home, it was very important to design a landscape around the house as much of the family time spent there would include the outdoors. 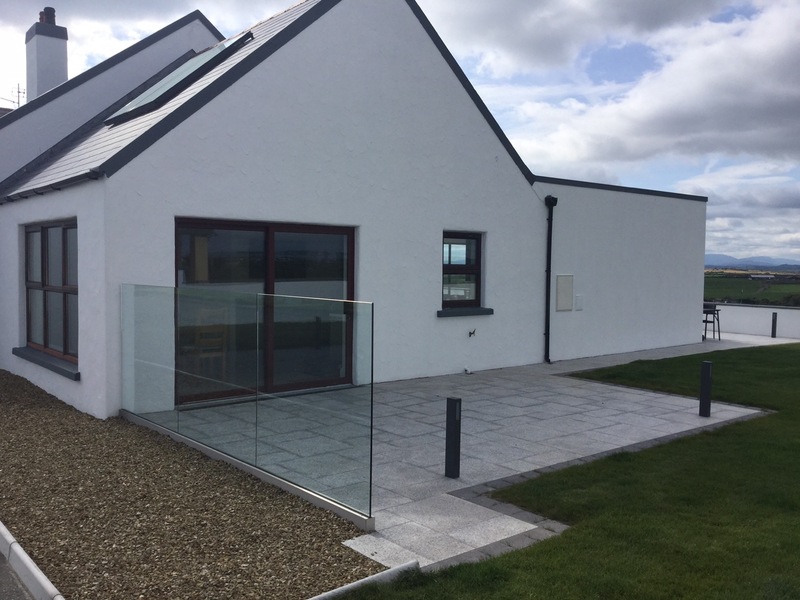 We designed two patios and included a glass screen to protect the sitting areas from Atlantic winds while also allowing the client to enjoy uninterrupted views.